Although I’m a psychic girl, I don’t always know who I can trust with the secrets I carry. Makes life so nuke complicated. Do I trust Mom with knowledge of the good aliens who contacted me? 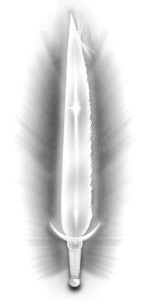 The alien queen warned me to keep her Gallion people a secret. She thinks humans will go nuclear. Probably right. Do I trust BFF Tommy with details of my psychic impressions? Mom told me not to. She thinks the military will use me in experiments. Probably right. How do I know who to tell what? Who can I trust? Who can this Psychic Girl Trust? I certainly can’t trust teachers. They don’t make a lot of money, so they can be bribed easily. If I trust Jackie, then she’ll pull the big sister routine and boss me around about what I should do. She’s so demanding! If I trust Dad about being psychic, then he might get in a fight with Mom and they’d be mad at each other and at me. Keeping secretes is such difficult business. I’m glad I’m not a spy. I wouldn’t make it pass second day of basic training. I’m not sure how Dad holds up when he’s interrogated during SEAL missions. He never speaks about that. He can’t. Maybe I’ll keep everything in my tDiary for now, protected by my secret password and bioscan. Who would know what I write? 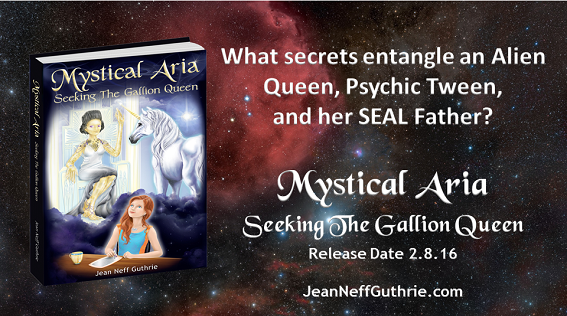 Aria Vanir is the psychic tween protagonist in Jean Neff Guthrie’s young adult novel, Mystical Aria: Seeking the Gallion Queen, which hit Amazon #1 Best Seller February 2016. Visit www.JeanNeffGuthrie.com for novel highlights and purchase. Click here for VIP Access to Aria, which includes two free chapters, character map, promotions, news, fun facts, and more.